Home » General News » Welcome North West Net Customers! Welcome North West Net Customers! North West Net has agreed to sell its Van Wert County bright.net operations to Telephone Service Company (TSC), another bright.net affiliate. TSC, head quartered in Wapakoneta Ohio, has been providing bright.net Internet service to Northwest Ohio since 1995; including Allen, Auglaize and Van Wert counties.  TSC is a wholly owned subsidiary of Hanson Communications Inc., based out of Willmar, MN. Your August 1, 2016 bill will be your final invoice from North West Net. On September 1, 2016, you will receive your first bill from TSC. Enclosed in your bill, you will find an insert that explains the new bill format and how to read it. After receiving your first bill from TSC in September, you will then have the opportunity to sign up for any of our bill payment processes. TSC offers credit card auto-pay and ACH monthly billing, which draws from your checking or savings account. We also provide paperless credit and debit card payment via our eCare Payment Portal. To set up any of these payment services, simply call 1-800-831-6099. Our customer service staff is available and ready to help. You may also send an email to switchingtoTSC@telserco.com with a call back number and a convenient time to receive a call from one of our customer service representatives. Remember this “move” is from one bright.net office to another. You will keep the same bright.net username and the same password. The only change will involve who to make your check to and where to send it. We’re happy to announce Heath Stechschulte will be joining the TSC Team and will remain in the Van Wert area to continue servicing our customers, so be on the lookout for a familiar face. TSC would also like to wish Beth Pohlman GOOD LUCK in her retirement, and thank her for her years of excellent service with North West Net! We look forward to continuing the great service you are accustomed to with North West Net, and are excited to welcome you to the TSC family!